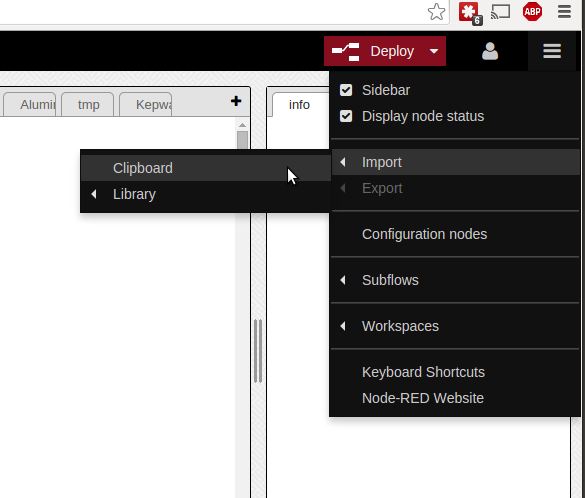 Click the deploy button in the Node-RED window (top right). 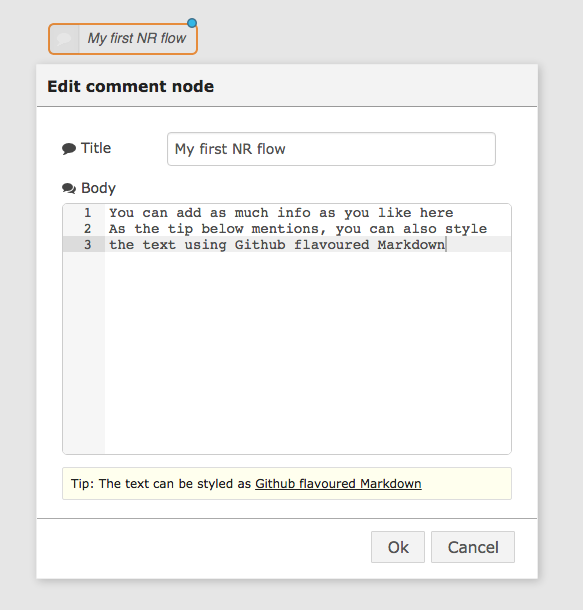 You’ll see a pop-up saying the flow has been successfully deployed. 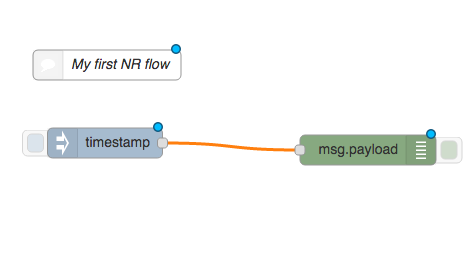 You will also notice that the blue dots on the nodes disappear, indicating there are no un-deployed changes. 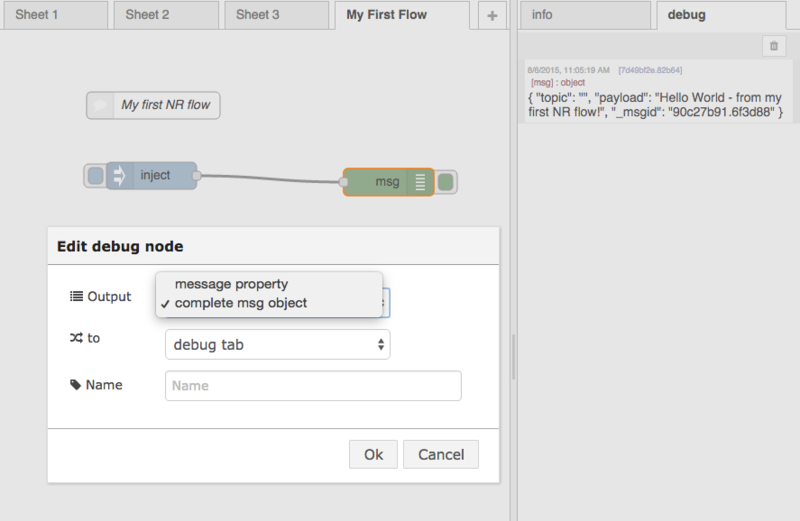 Once you’ve made the change, click ok to save the changes and take a look at the flow. 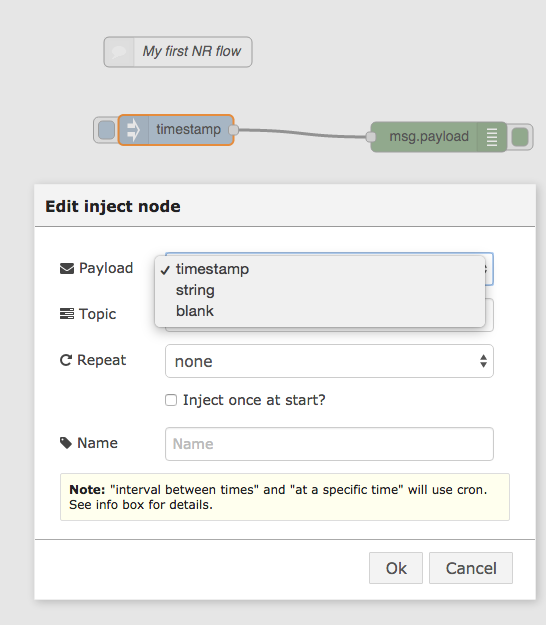 You’ll see the blue dot has appeared on the inject node (which has also returned to being called inject rather than timestamp) to indicate that you have un-deployed changes. 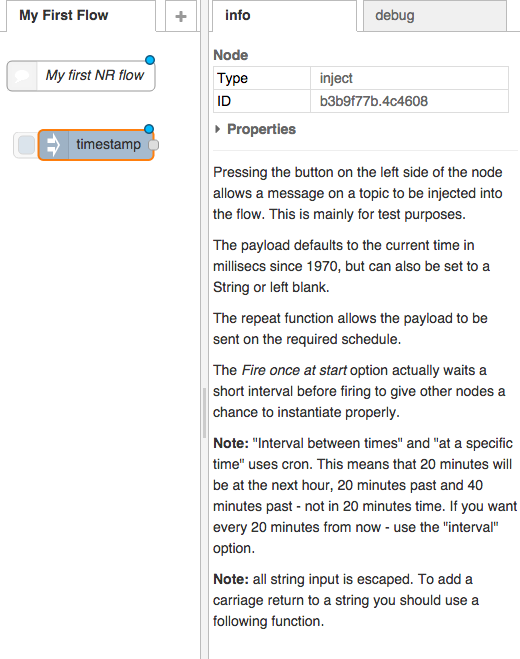 Click the deploy button again to resolve that and then go ahead and click the tab on the inject node. 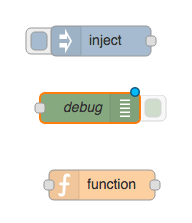 If you look at the debug output you’ll see that instead of a timestamp, your text has been delivered as a message to the debug node, which displays it as usual. 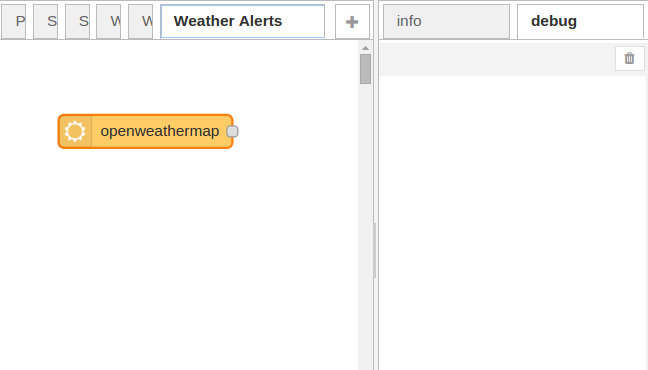 In this example, which is similar to the one introduced in lecture 1, you’ll monitor the weather in your hometown and send yourself a tweet when the weather looks like it’s going to be good. 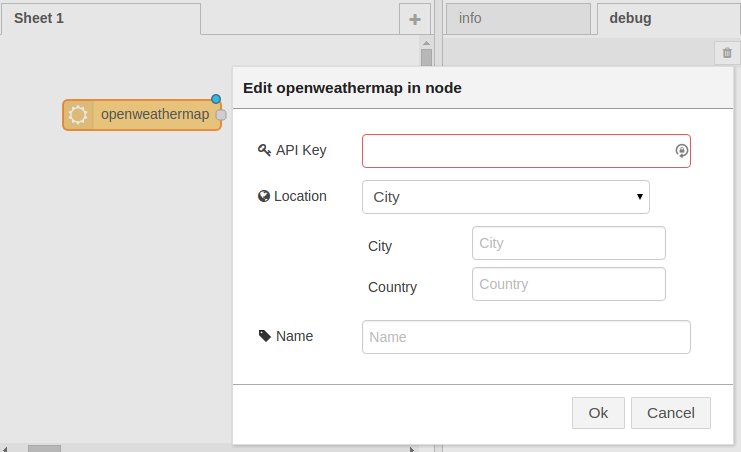 You’ll use a weather node – openweathermap – that retrieves the weather from openweathermap.org for the location you set it for. 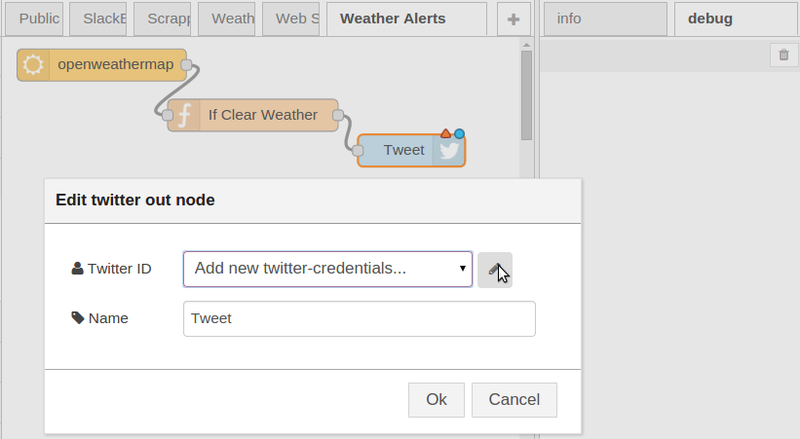 A simple function node will be used to check for ‘clear weather’ and a Twitter node will be used to send yourself a tweet when the weather looks good. 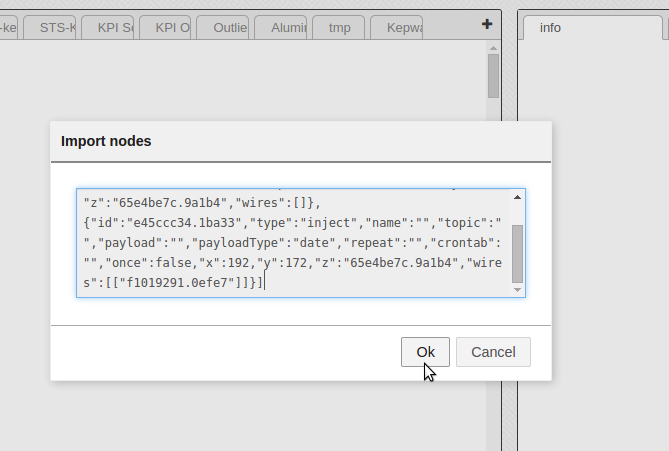 If you are using FRED, the openweathermap node must be installed using the Add or Remove Nodes navigation tab on FRED control panel left side of the Node-RED palette. 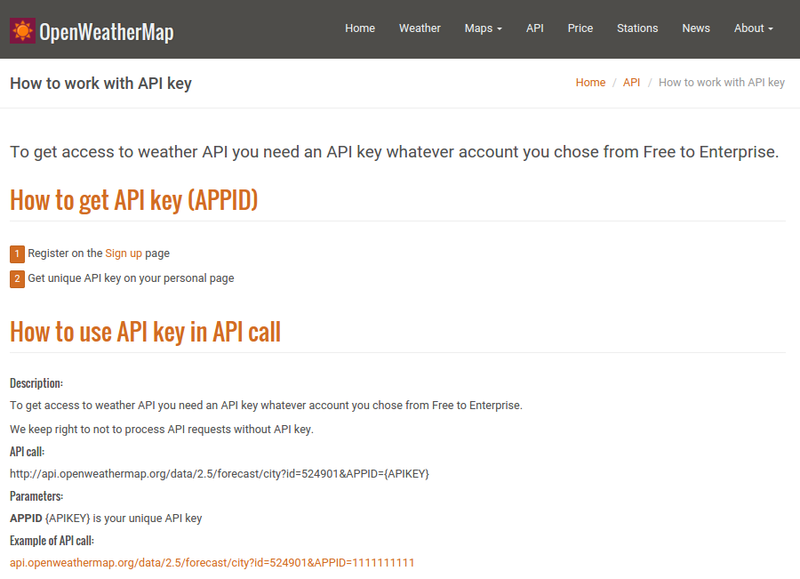 Click on this, and then look for the “openweathermap” node. 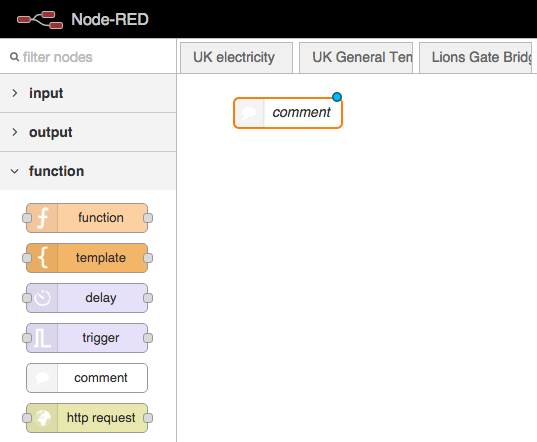 If you are running Node-RED on a Pi or desktop computer, nodes are managed through the Node-RED palette manager available in the Node-RED menu in the top right. 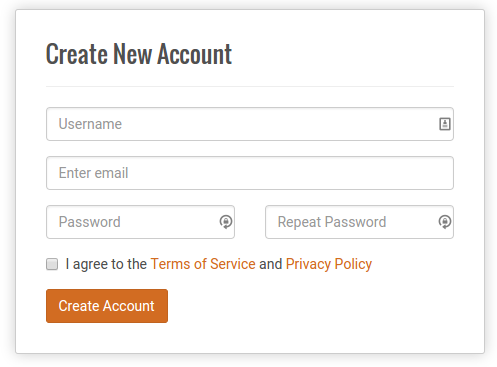 Select Manage palette, then Install. 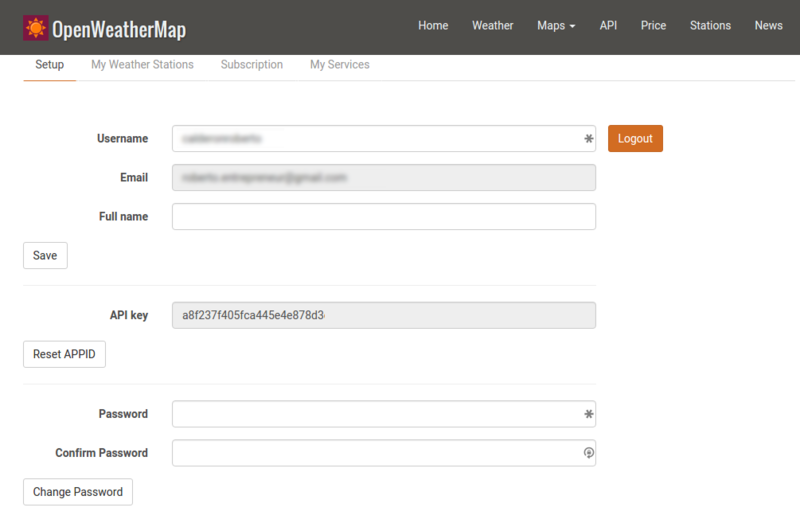 From there you can search for “openweathermap” and click the Install button. Figure 2.11. 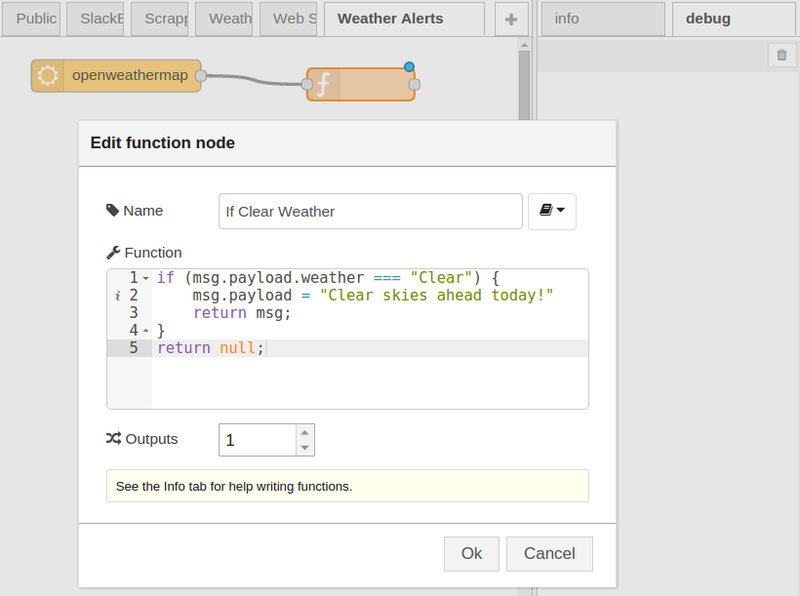 Drag and drop a weather node onto a blank workspace.